Australian Camp Trekking is a soft and sweet trekking goal for the people who have a limited holiday time. This is one of the shortest trekking routes in Annapurna region. It is a scenic and easy trek at the outskirts of Pokhara City. If you are searching for the break from monotonous drabness of your daily life, the Australian Camp Trekking can be the best option. Follow the paths of locals and get into the countryside. 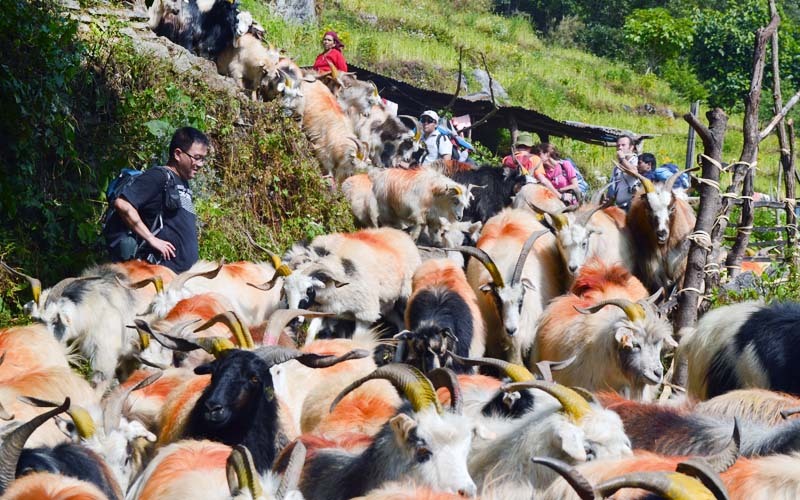 See the livelihood of locals in the multi-ethnic community nestling in the lap of Himalaya. 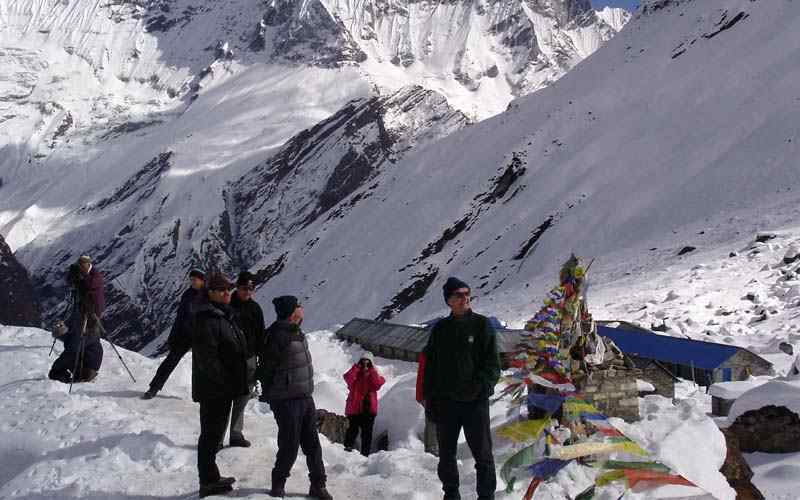 Moreover, Australian Camp Trekking offers a superb viewpoint that is tranquil and quite, yet with full of panoramic vistas of Annapurna, Dhaulagiri and the beautiful Fishtail mountains. 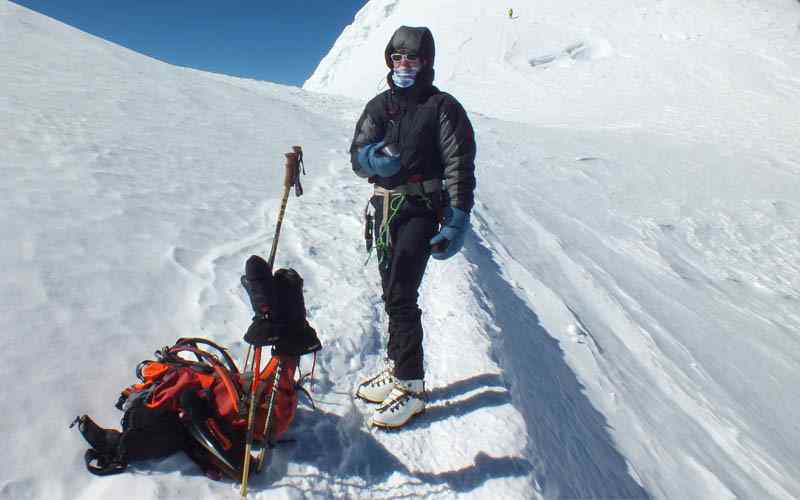 Australian Camp Trekking is at the crossroads of Annapurna Base Camp Trekking. We will drive from Pokhara to Dhampus Phedi. From here Trekkers walk uphill through the village, green lush forests and parry fields to reach Dhampus Village. The village is the settlement of Gurung, Magar, Brahmin, Chhetris and Untouchables. Terraced farmlands and a traditional rural set-up will undoubtedly encourage trekkers feel serenity. 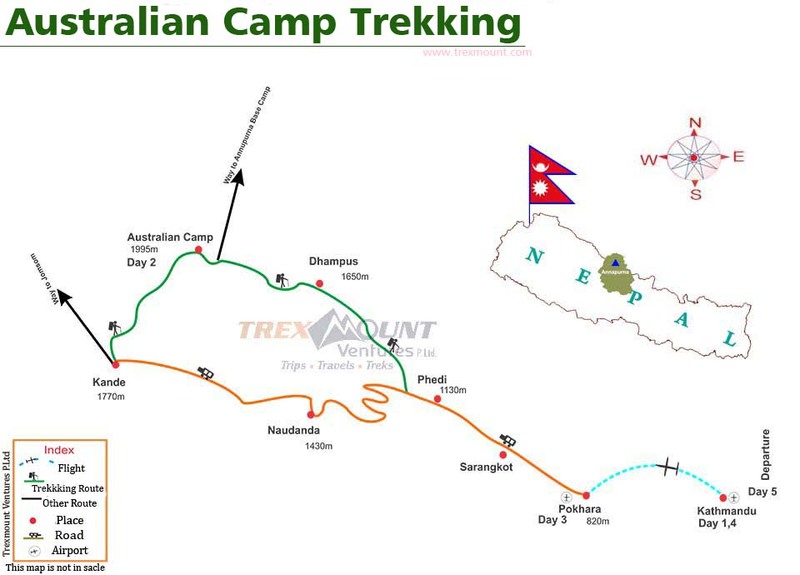 Australian Camp Trekking can be termed as hiking. Visitors traverse further uphill through temperate forests of different deciduous trees. They encounter monkeys and other wild animals. The cool forest with rhododendron flowers and the lovely sound of the wilderness make your uphill walking effortless. Once you are at the top of the Australian Camp, the grassy meadows offer you magnificent all round views. The tranquil atmosphere and the panoramic view of snow-clad mountains and hilly landscapes far up in the horizon entices everyone. Trexmount Ventures Team would love to serve you on your joyous short walking trip. 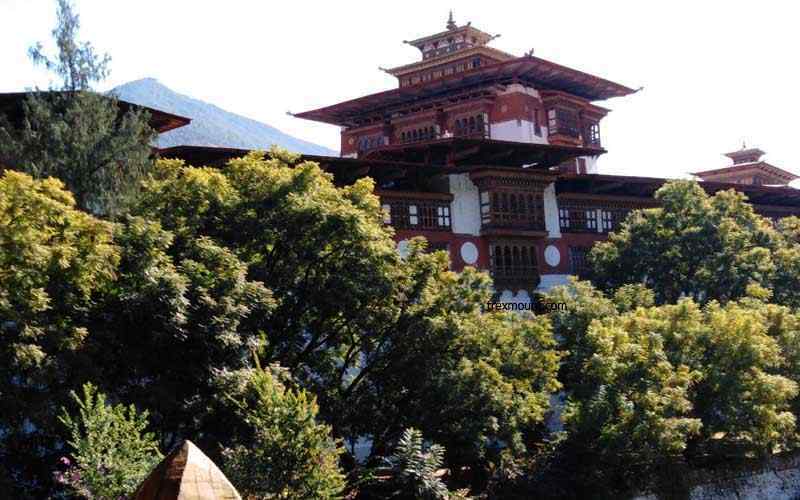 Enjoy the majestic Himalaya, terraced farmlands, multi-ethnic society and diversified forests environment and much more. Breakfast. 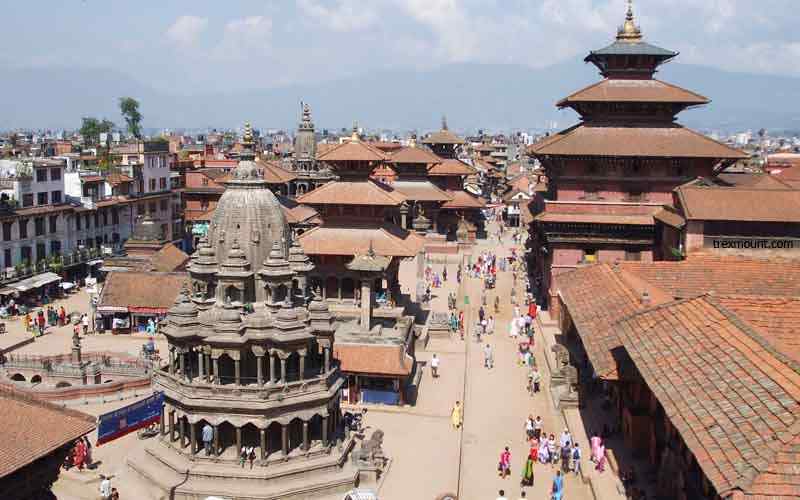 Drive to the airport in the morning for a 30 minute scenic flight from Kathmandu to Pokhara offering magnificent views of hilly regions, river valley, lakes, lush vegetation, villages and a super view of the Himalayan range from Ganesh Himal, Manaslu, Machhapuchhre, Annapurna and Dhaulagiri range. We meet our porter after the flight. Drive to Phedi from where we commence trek to Australian camp. The trail goes stiff ascending through rhododendron forest, over a prairie. 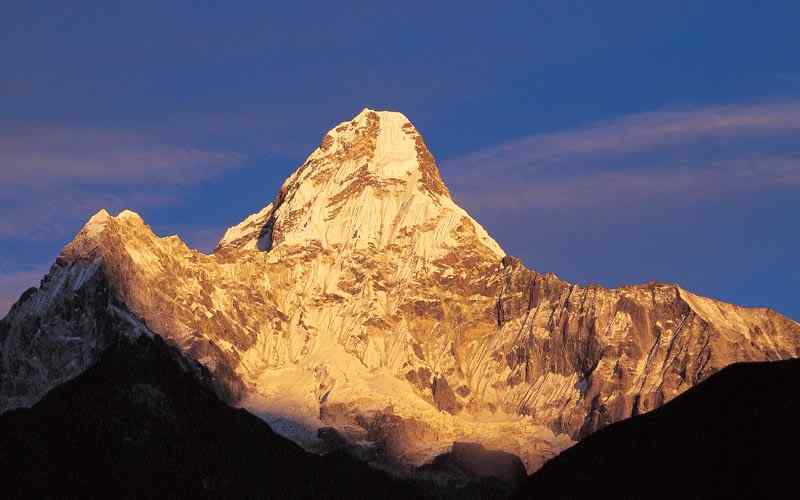 The nice climate and superb views of Annapurna and Fishtail make for an energetic and easy trek. Pass through the beautiful villages of Dhumpus and Pothana before reaching Australian Camp. Overnight at the Guest House. Meals: Breakfast, Lunch and Dinner. Wake-up early in the morning, See the sunrise and panoramic view of high the Himalayan range from Dhaulagiri, Annapurna, Fishtail to Manaslu, and Pokhara city with lake all of which provides for fresh dramatic scenery in the morning. Trek begin through the forest and beautiful Dhampus Village and Descend to Dhampus Phedi drive to pokhara. We will explore lakeside in the evening. O|N Hotel Meals: Breakfast. Breakfast drive by tourist bus to Kathmandu. Transfer to the Hotel Overnight Meals: Breakfast. Breakfast, Transfer into the Airport for the flight back from Kathmandu, Good Bye and Happy Journey. Airport Pick up and drop transfer. Flight from Kathmandu to Pokhara. An experience guide and required number of porters (one porter in between two pax) , their food, accommodation, transportation, salary, insurance, equipment and so on. Warm sleeping bag, warm down jacket and walking stick, if necessary. All Government Taxes are included. Tips to staff or any donations. Any personal expenses which is not mention into the price inclusion.